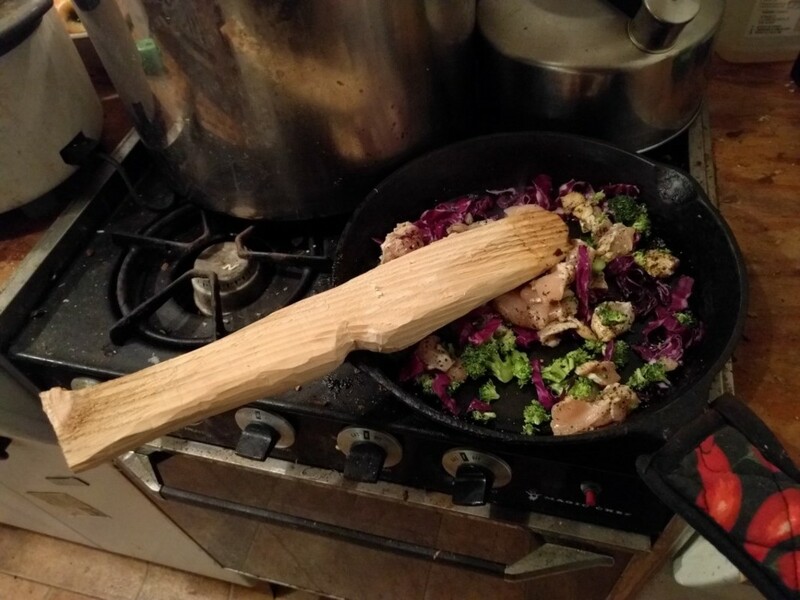 Does a cedar kitchen utensil impart a cedar flavor to food? There comes a time in everyone's life when they hear a question, and not knowing the answer to the question, they go on a quest to find an answer to the mysterious query. Such an instance occured on a chilled February afternoon under a canopy of pine and cedar. 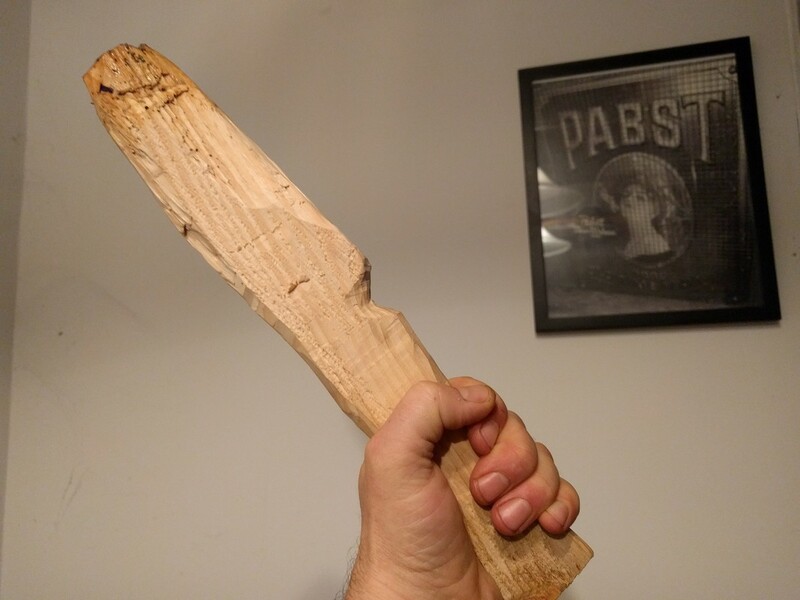 I was visiting a buddy, and he was crafting a hella sweet spatula from a piece of home harvested cedar. 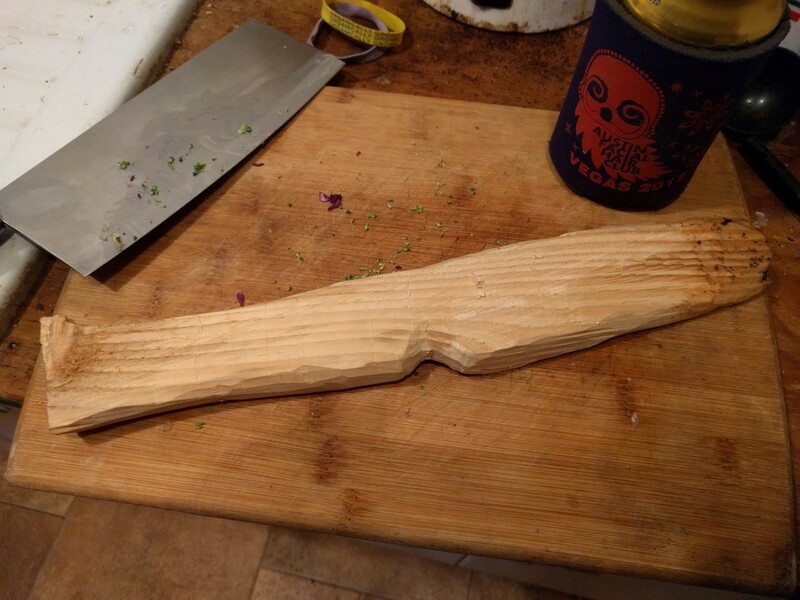 Since there were a few pieces of cedar kicking around, I decided to try my hand at crafting a kitchen utensil. With cedar kitchen utensils on everyone's mind, the question was eventually asked: Does a cedar spatula (or spoon) impart a cedar flavor to food during cooking? Although I gave up on crafting a utensil after a few carving twists of a knife, the desire to answer the question still burned within. I needed to know, and there was only one way to find the answer; run an experiment … for Science! Yea, that's as far as I got with my cromnipulently crappy creative kitchen carving craftsmanship. Fortunately, craftmanship isn't a requirement for my experiment. Not only did I create an amazingly ambisinister kitchen tool, I also made up the word 'cromnipulent'. Fire up a cast iron ...for Science! 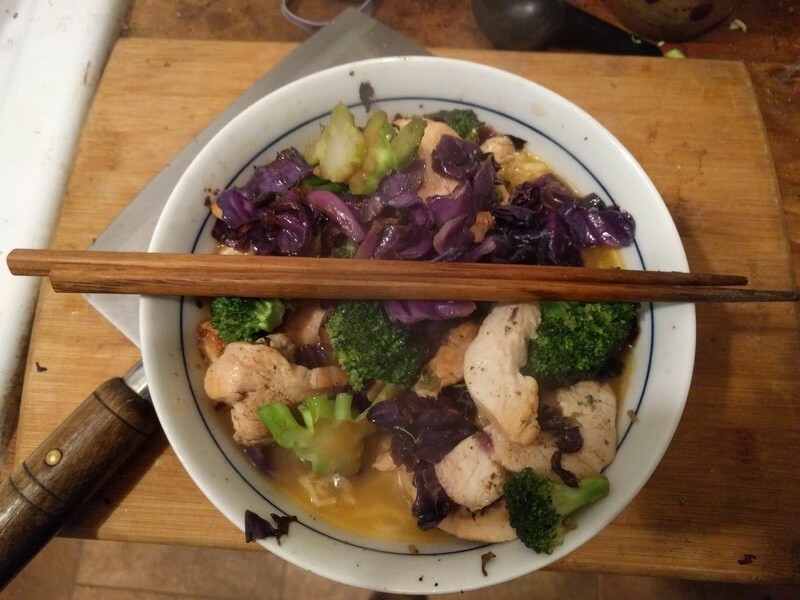 Chicken, broccoli, cabbage stir fry? Don't mind if I do! 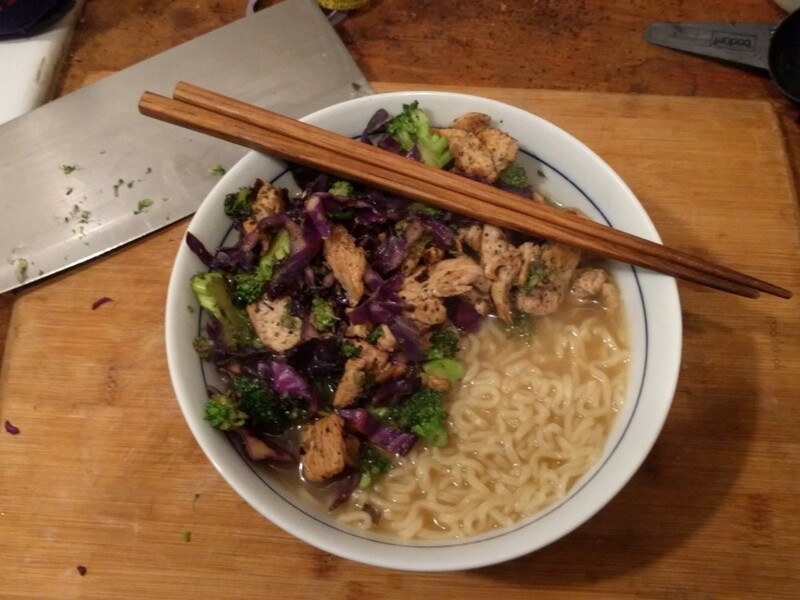 From what I could tell, this was simply delicious ramen. If there were any cedar flavors added to the meal, I either didn't notice, or the flavor addition was too majestic for me to comprehend. One more time ...for Science! Hot damn, that was a meal worth repeating, and uh... I repeated the experiment the next day ...for Science!